Main Title Animation by: Peter Girardi Sarofsky Corp. It seems like it�s been awhile since our last DC Universe outing. Though I suppose that�s because it kind of has been�the gap between the previous film, Justice League: Crisis on Two Earths, and this one was about five months. After the rapid release that we got with Superman/Batman: Public Enemies I got kind of spoiled with watching three of these films in 2009 and we�re only just getting our second of 2010 with Under the Red Hood (though we�ll get another Superman/Batman film in September, rounding out our third of the year for 2010). I realize this is all par for the course, but when you run a website that, for the most part, lives and breathes these films it gets to be a bit much and you expect these things to come out faster than they do. In any case, here we are with Under the Red Hood which is yet another comic book adaptation tweaked for home video. Those familiar with the original story know that it was going to be an interesting adaptation for home video, simply because Superboy punching a hole in whatever wasn�t going to fly for a seventy-five minute film. From the outset I was pretty opposed to this film. 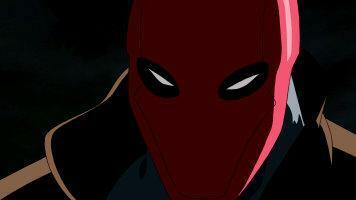 I found the whole rejuvenation of Jason Todd in the comics to be nothing short of a swift kick to the pants of comic book fans everywhere. The Todd story, of fans actually voting to kill the guy via a 1-900 number setup by DC Comics, was something that was such an iconic piece of comic book lore that to play with it just seemed immoral and wrong. By the time they pulled this bit of shenanigans in the comic book world I�d long since stopped reading (kind of lost my reason to go to the comic shop after they cancelled Batman Adventures) though, so I really wasn�t affected by the story they were telling. However once I heard that it was going to filter into the DC Universe series of films, I knew I would eventually have to face facts and deal with this annoyance. Unlike Chewbacca dying in the Star Wars novels, I couldn�t ignore Todd returning by just not reading the story in which it took place�now it would be put into animation. That was all a bit overdramatic, of course, but it helped drive the point home I think. Basically where I�m starting out with this film is a general feeling of hatred towards the story, so in order to be won over it�d have to be quite a little awesome bit of animation. Now I can only imagine those that either don�t care or love the Todd story as it now stands will take this film as it wraps it up into perhaps one of the most neatly done and self-contained DTV�s yet to grace the series. There�s a real sense of a stride being made even from the start of the film�the mood is set almost immediately and when the opening credits with Christopher Drake�s score kick in, you can�t help but get goosebumps. It�s obvious that the filmmakers here are going for a Christopher Nolan vibe as the film is genuinely and truly dark and Drake�s score even mimics and mirrors it on quite a few occasions, although it still stands up on its own even without that relation being made. The PG-13 rating really feels deserved here and I�m sure I�ve said that before, but this is probably one of the most brutal bits of animated Batman since Return of the Joker. So quite frankly I would avoid showing this one to kids, as severed heads in a duffle bag (along with the requisite scenes of Joker beating up on a teenage Todd with a crowbar) show up within a few minutes of the film�s opening credits. There�s also the issue of the films dialogue. I shouldn�t say �issue� because it is PG-13�there�s just a lot more �hell� and �damn��s being thrown around, but it totally works here. It doesn�t feel forced in like it has in past films; in fact it oddly feels right. It�s kind of another element of the DC Universe titles hitting their stride�they�ve finally figured out how to juggle these new PG-13 boundaries and exploit them to their fullest. Of course the dialogue would still sound idiotic if it wasn�t delivered properly and this is a tight little cast we have knitted up for this release. The only real jarring portrayal was John DiMaggio as Joker, but I soon realized while watching the film that the reason it felt odd was because it actually makes you feel uncomfortable and in a creepy child molester kind of way�which I�m not sure how close to a compliment that is to DiMaggio, but it definitely got under your skin. Bruce Greenwood as Batman was a superb portrayal as well, if mildly forced at times (particularly the speech in the batwing as he was flying back from a meeting with Ra�s al Ghul, but that was really the only major moment) and Neil Patrick Harris added a much needed level of levity as Nightwing (oddly enough Black Mask adds some laughs to the thing as well). They could�ve made even Nightwing�s role a bit darker, but considering how they wrote him out of the story and avoided any kind of confrontation with Red Hood proper (at least after Hood�s identity is �revealed�) taking him to any kind of dark place would�ve been unnecessary in this film. The remainder of the cast is as you�d expect with Alfred (voiced by Jim Piddock) and Jim Gordon (no voice from him though) making appearances. 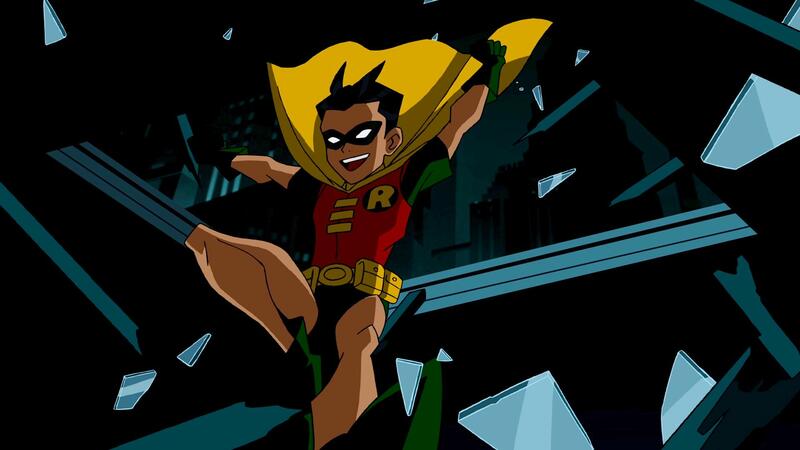 There�s no real surprise parties here, although there is a passing reference to Oracle and brief bit with Talia, but nothing that we weren�t already expecting (unless The Riddler wasn�t shown before, in which case he shows up here too�voiced by Bruce Timm no less). Then of course there is Jensen Ackles as The Red Hood, which is probably one of the strongest performances out of the entire film�really quite exceptional all around. Obviously the main thing about this film is the story and how it was adapted. The final elements of A Death in the Family play out in a few minutes and we don�t dwell on it too much, although there are a few well-done flashbacks plopped into the film here and there. In fact that was probably one of the nicest things about the film�the exploration of Jason Todd�s character. I�m sure it�ll come as no surprise that Todd is Red Hood (if that is a surprise then you have terrible observational skills), but the film doesn�t even make it out to be much of a surprise except to Batman and Alfred, so it�s kind of a hook that the audience is already in on (although the less informed may be unsure at first). In any case, the history of Todd is given in such a way that it gives a nice backstory to the audience unfamiliar with it (and a refresher for those that are). It even oddly ends the film in a way that feels both abrupt as well as just�right. It�s hard to describe so I won�t even bother trying, but the ending is probably one of the more poetic wrap-ups I�ve seen yet in these DC Universe films. It may have been better served if the ultimate resolution to the Red Hood story was a bit more dramatic, but it works either way. I did realize something about the film shortly into it that it felt very familiar in structure to another animated outing in the past. The story structure really isn�t all that different from Mask of the Phantasm, with the mysterious stranger from Batman�s past arriving in Gotham and killing people off. On top of that there�s the whole flashback angle and�truth be told the more I think about it the more elements that the film kind of borrowed from Mask of the Phantasm. This isn�t a terrible thing of course, but I�m not sure if it makes me like Under the Red Hood more or less. I will say the inclusion of Ra�s and the whole angle that it spun with Todd�s resurrection was definitely a pleasing element at the very least�I�m not sure what I expected the reasoning to be, but Judd Winick definitely did a solid bit of storytelling here, with some nice little threads planted early on that were later picked up at the end. Granted Ra�s was a component of the comic book resurrection as well, but we avoided the idiotic time ripple effect of Superboy punching stuff. I won�t divulge the whole story piece by piece, but it definitely was one of the more movie-like storylines of the series thus far. Directing and animation in this film were generally superb�everything flowed beautifully and the fights looked appropriately brutal. The CGI usage was a bit over abundant and occasionally awkward looking, but nothing too terribly annoying�though they just can�t seem to nail down vehicular physics, because they float around a lot in these films. In any case the flaws you may have with the film definitely don�t stem from the quality of the animation or the directing by Brandon Vietti as both are absolutely top notch. Truthfully speaking I expected to really just dislike this film, but setting aside my reverence for the story of Jason Todd�s death�I have to say this really was a damn good film. Time will tell how I feel since I think I say that about every one of these DC Universe titles and then later realize the flaws with each of them, but for the time being Under the Red Hood was a genuinely surprising and entertaining film. Definitely a Recommended outing, which is truthfully a higher rating than I thought I�d give it when I slipped the disc into my player this morning. Before I continue in any capacity, you need to know I�m a huge Batman fan. Out of all heroes, from DC and Marvel, etc., Batman just edges them all out. As a young child I loved the 1960s Batman television until the 1989 big-screen Batman feature film, and the Batman: The Animated Series program, changed my entire perception of the Caped Crusader. I find he�s a character that, arguably, is the most flexible in comics. And, to this day, his adventures in four-color and animated form continue to enthrall me. 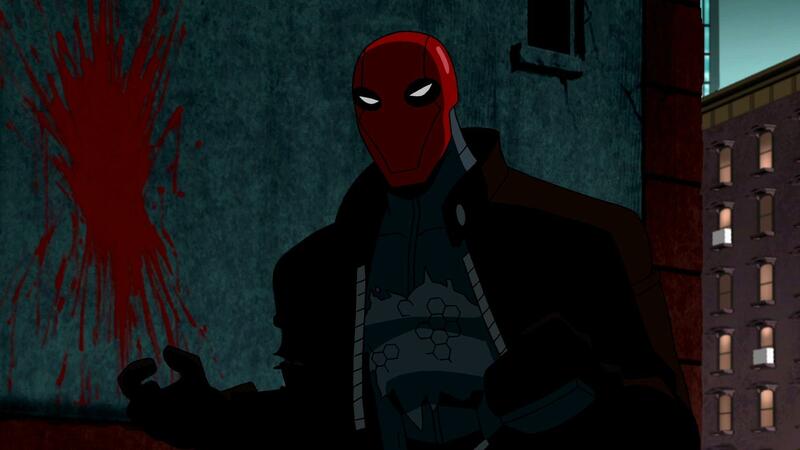 And, to my fellow Batman fans, I can thankfully say that Batman: Under the Red Hood is no exception. Not only did this movie thoroughly grab on to me with an unforgiving hold, but it is also easily one of the best DC Universe Animated Original Movie titles yet. The DC Universe Animated Original Movies has been pretty excellent so far. A couple slip-ups, yes, and a few features which don�t quite add up to the others, but this line has definitely brought up more hits than misses with the likes of Wonder Woman and Justice League: Crisis on Two Earths easily at the top of the heap. However, it looks like they may have just been dethroned with Batman: Under the Red Hood. In fact, I would peg this as the most mature DC Universe Animated Original Movie title yet, and the best Batman-focused animated feature since Batman Beyond: Return of the Joker. Where to start? Well, to those familiar with the comic book story of which this film is based, you can rest assured knowing that not only is this film very faithful to the Batman: Under the Hood storyline, but actually improves upon it. There were actually moments, while watching this movie, where I found myself wondering why Judd Winick, writer of both the original comic story and this animated feature, didn�t just do this or that in the first place. But that�s a completely different discussion. Suffice it to say, this film offers down an improved, streamlined version of the story. Plenty from the original Batman: Under the Hood is left out, but what�s left is the real meat. That�s not to say it�s perfect, it has a couple �face-palm�-worthy moments, but it�s an invigorating and fast-paced flick. I found Winick�s work on the dialogue really added a fresh spin to the movie. It�s quick, witty, and allows for some great observation and interaction between the cast. Nightwing, naturally, gets plenty of great lines off of Batman, and Winick allows the crimelord Black Mask to chew some major scenery whenever he appears. The dialogue is solid and the film in general is pretty well-structured, taking a look at some deep issues and building up this great story to a powerful, intimate ending. The final scene? Perfect, perfect, perfect. And as sharp as the story is, the animation is also up there. I found the animation on display here was pretty amazing with only a couple exceptions. This is possibly the best animated effort since Green Lantern: First Flight. Everything looks smooth, slick, and nearly perfect. Whether it�s a quiet scene or a full-out brawl, the quality is hard to deny. In fact, the film�s ability to move from an epic-like battle, such as the Batman/Nightwing/Amazo three-way battle, to a more intimate duel, like the Batman/Red Hood tussle toward the end of the feature, adequately shows how the creative team here is able to juggle the demands of feature. During the later conflict between Batman and Red Hood, you�ll feel every punch, every face smashed into the wall, all of it. It�s particularly brutal at times, causing me to flinch more than once. Kudos to the sound team for making each connecting punch, each crack, sound just painful. And to quickly follow-up on the film�s fighting and intensity, this movie earns its PG-13 rating. It�s a dark, twisted tale that parents may want to keep away from the little ones. Thankfully, the mature subject matter, the violence and occasional curse word and such, all flows together organically so none of the mature content feels out of place here. Still, as noted by others, the film is a bit inconsistent with how it represents the violence, and is sometimes pretty sanitized. The opening sequence, where the Joker bludgeons Robin with a crowbar repeatedly, looks pretty safe, though later we see blood splatter across a wall after Red Hood literally blows off someone�s head. Inconsistent to the point where it�s occasionally distracting, blood will be in one frame and gone the next, but nothing that actually takes away from the actual content of the film. The strong story and usually powerful voice-acting makes it easy to completely miss the odd animation hiccup. And there�s not a thing to worry about concerning the voice cast. In fact, there�s rarely a flaw to be found here when it comes to the voice work. 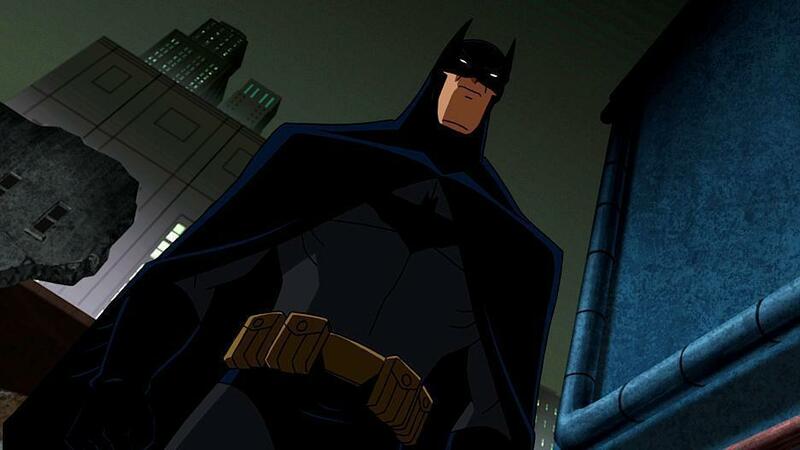 The major roles include Bruce Greenwood (Star Trek) as Batman, Jenson Ackles (Supernatural) as Red Hood, Neil Patrick Harris (How I Met Your Mother) as Nightwing, Jason Issacs (the Harry Potter film series) as Ra�s Al Ghul, and John DiMaggio (Futurama) as The Joker. I thought everyone hit their marks well throughout the movie, with only the odd quibble. I found Issacs wasn�t given enough to work with for his role as Ghul, but did pretty well for what he had. Greenwood was a great, great Batman, only occasionally sounding a bit too horse or raspy as the Dark Knight. Harris brought some great levity to the film as Nightwing, despite his role being smaller than I would�ve hoped. Ackles was absolutely perfect as Red Hood, selling every line and creating a multi-layered and complex character. Ackles easily gives a standout performance as our mysterious vigilante. And hats off to John DiMaggio for an absolutely riveting, terrifying take on the Joker. Unique, creepy and pretty unforgettable. I got chills during some of the Joker scenes here�the dialogue was just that good and the execution even better. Kudos to Brandon Vietti on his direction, effortlessly juggling the big set pieces with the smaller moments with ease. Whether it�s the big bridge showdown toward the climax, or the final moments of the film, or even the tense-riddled pre-credit sequence, Vietti nails it all. All of this is aided with the superb musical compositions of Christopehr Drake, who hits it out of the park yet again here. Drake has managed to bring his A-game to each of DC Universe Animated Original Movie titles, and this is no exception. Save for what�s previously mentioned, complaints are minor for Batman: Under the Red Hood. It seems that while the creative teams on these features are starting to get a grasp of creating a full feature with a limited 75 minute time-frame, there still seems to be a couple time-crunch problems. I find that there could easily have been a few instances where the action could have been cut to make room for the movie to breathe some. As enjoyable as it was, the Amazo sequence could easily be jettisoned in favor of, well, more Red Hood. The film doesn�t feel rushed at all, and does unfold at a nice steady pace, but it�s only after that fact where one begins to realize a couple things could be excised to let the movie breathe. Plus, Nightwing vanishes about a third into a movie and then promptly disappears until a silent cameo toward the end. It would have been nice to have seen more of him, even just to provide some levity as the film dips into some very dark territory as it heads into its final moments. Still, the film never loses focus so the flaws are barely noticeable. Before I move on, I feel the need to point out an absolutely mind-boggling observation made by Alfred during the film as he and Batman unearth a body during a late night graveyard excursion. I won�t spoil it here, but it�s simply baffling and surprisingly jarring because you�d never expect to see a comment so stupid come from someone like Alfred Pennyworth. You�ll know it when you see it. A mature and faithful take on the Batman lore, fans of the Dark Knight really shouldn�t pass this up. The storytelling is solid, the animation is top-notch, and the cast and crew really pull out all the stops to give fans a solid character-driven action drama. It�s a really fine Bat-film that, while not succeeding them, can stand shoulder to shoulder with the likes of Batman: Mask of the Phantasm and Batman Beyond: Under the Red Hood. This is one movie you need to experience on in the best format possible. No downloads or torrents, but DVD or Blu-ray. It�s just better that way (and besides, you shouldn�t be illegally downloading this stuff anyway, but actually supporting these releases by purchasing them). A stunning, action-packed emotional ride, Batman: Under the Red Hood is an unquestioned Must Own for Batman fans.